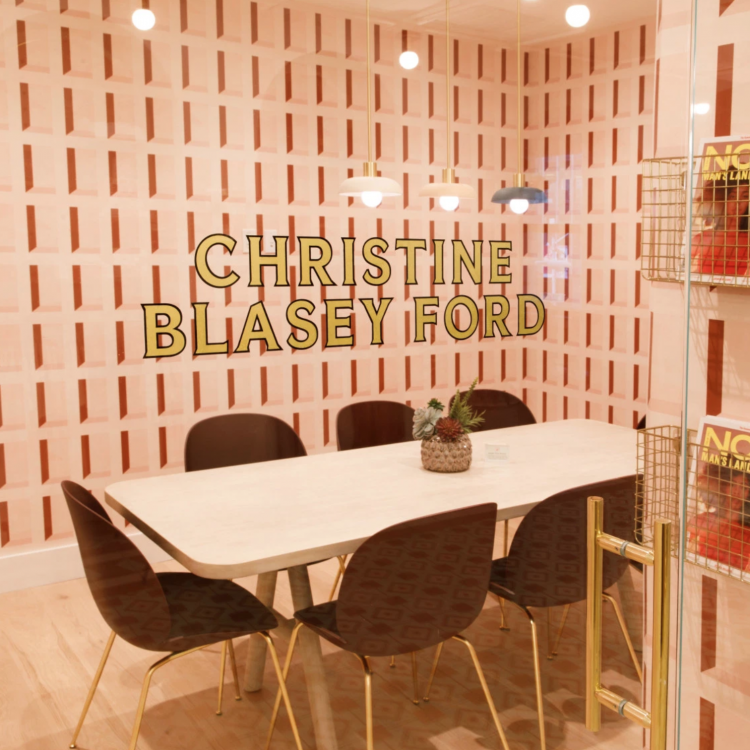 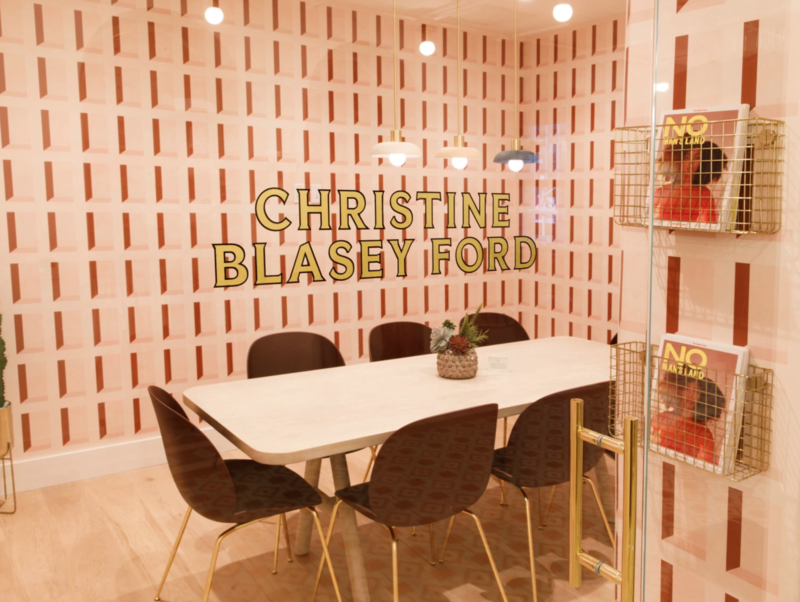 Instagrammable feminism: Blending signage seamlessly into an iconic, retro interior that attracts new members. 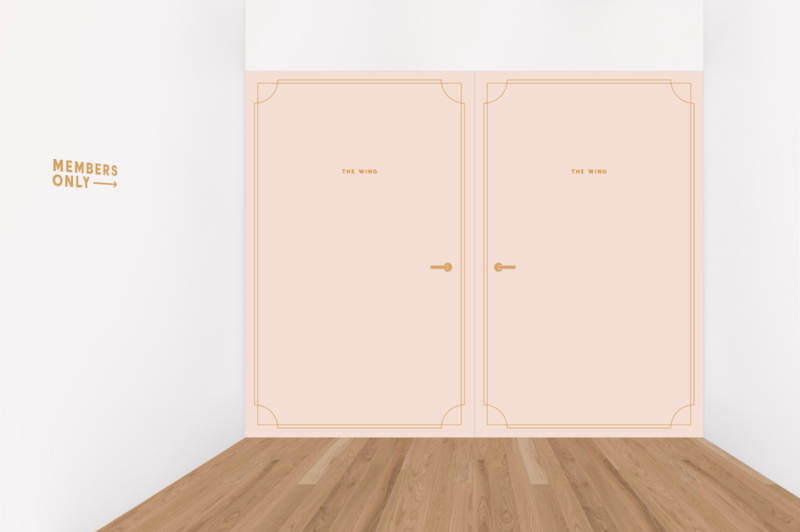 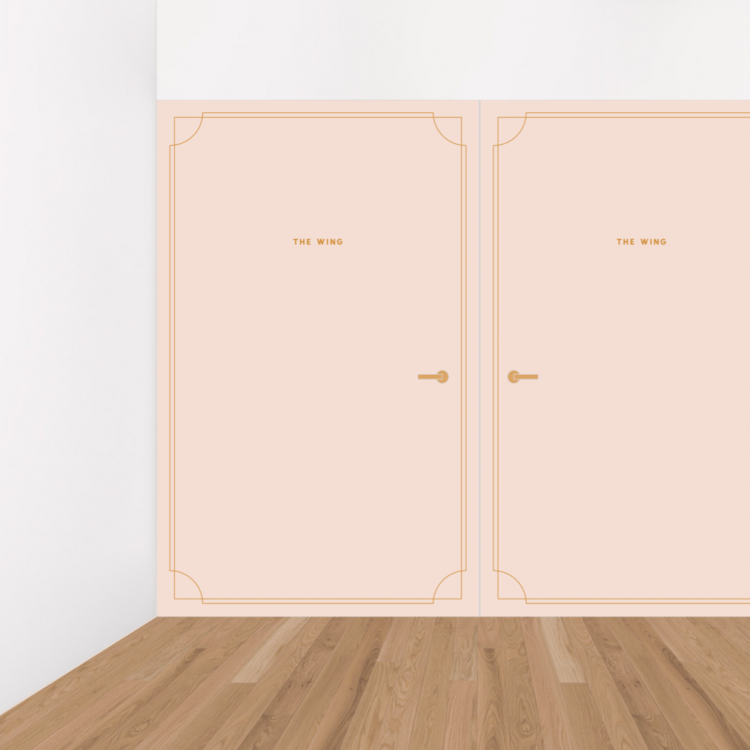 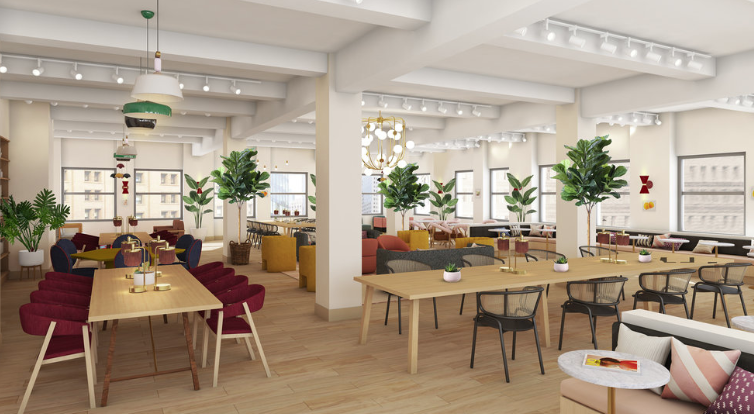 The Wing is a groundbreaking network of co-working spaces designed just for women. 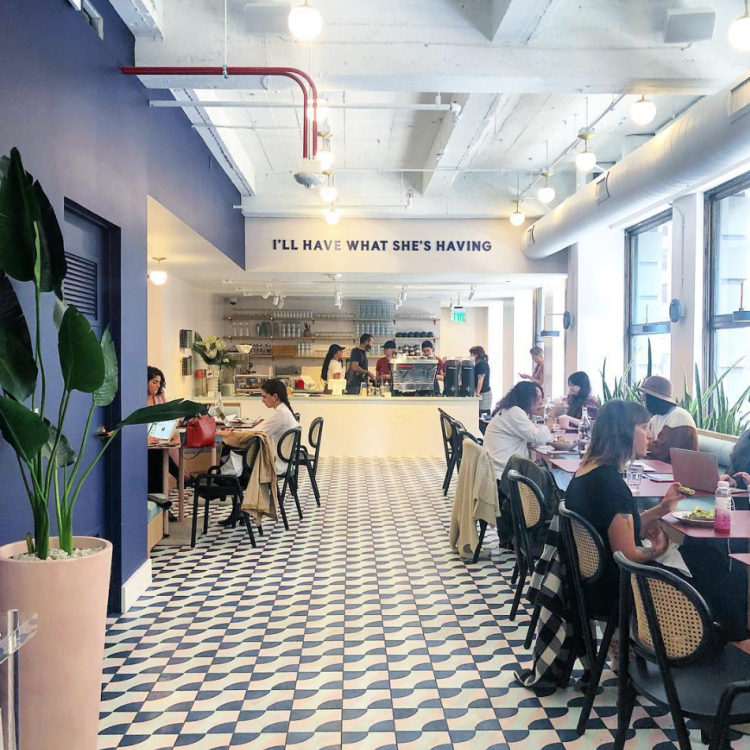 Here’s how we worked closely with the creative team at The Wing to bring their brand to life in San Francisco, Los Angeles, and Chicago. 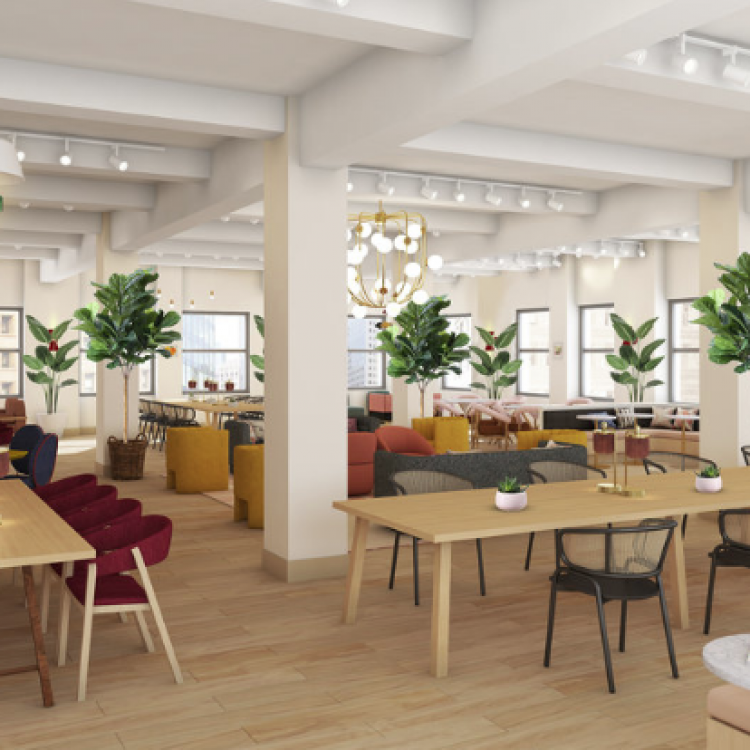 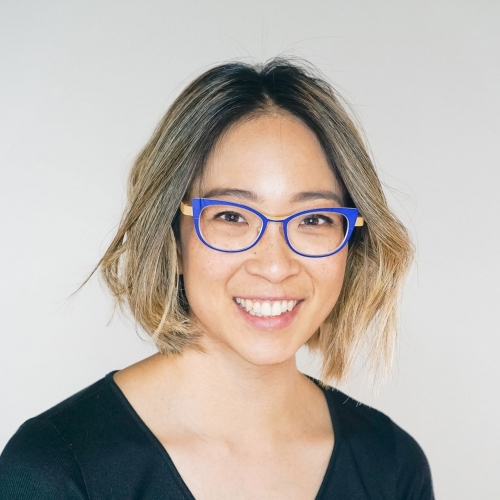 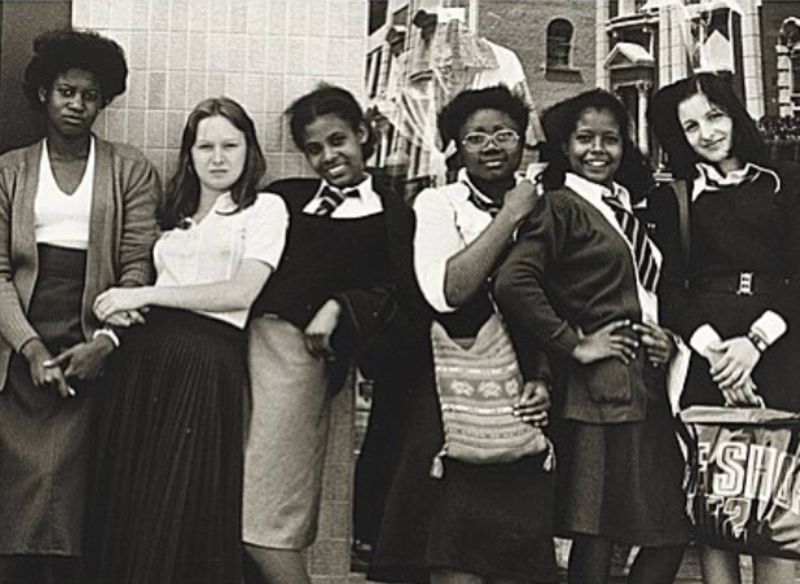 The Wing is a network of co-working spaces designed by women, for women. 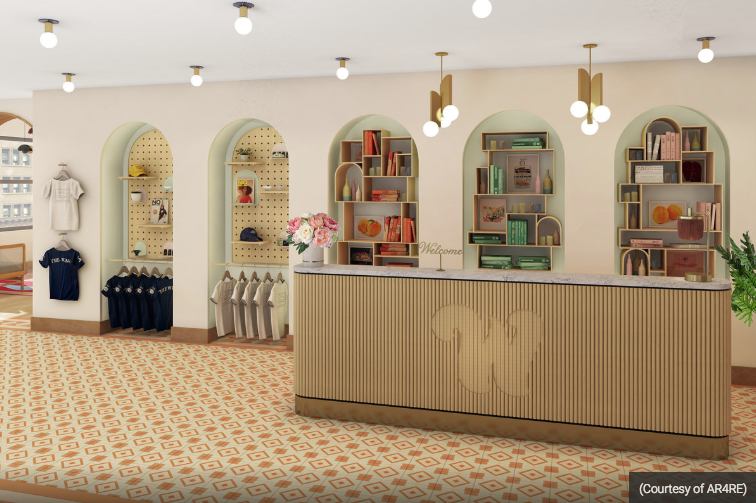 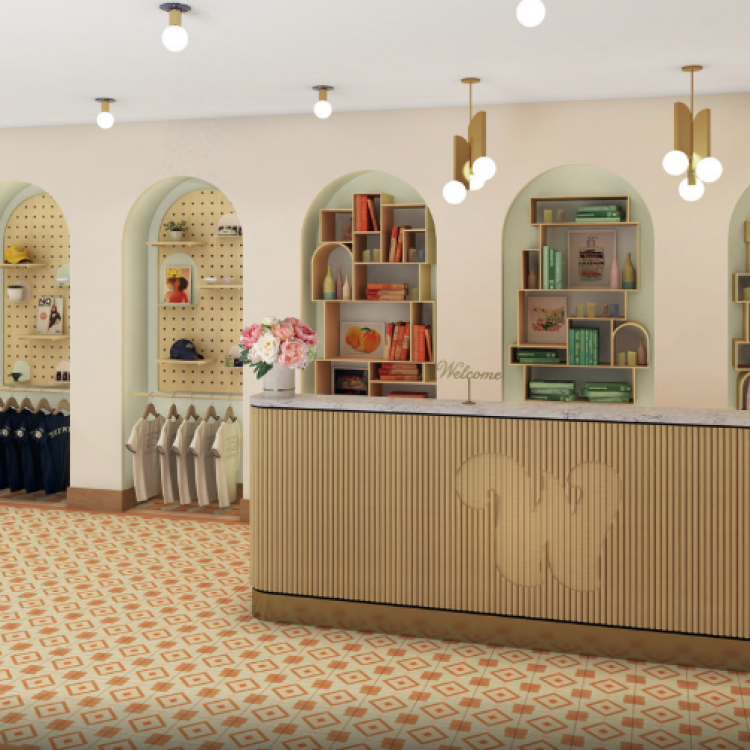 The Wing advances women by bringing back the concept of a 1930’s era women’s club, and redefining it for today’s woman. 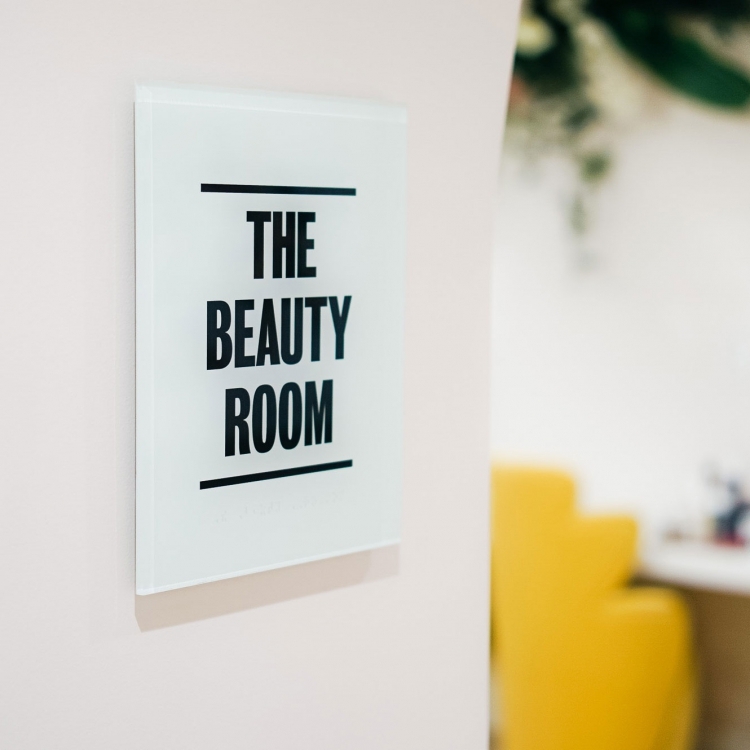 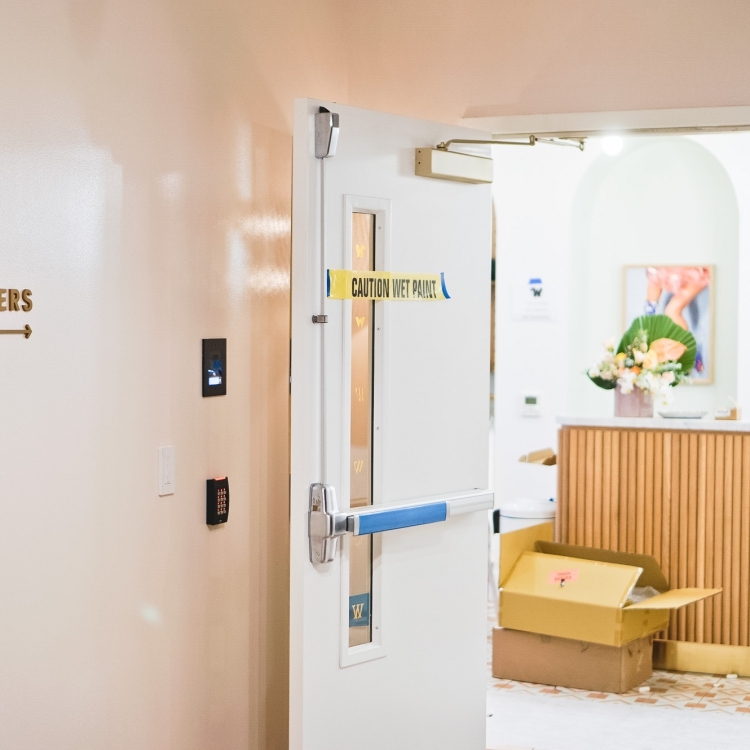 With 6,000 members across its locations—and 30,000 women on an ever-growing wait list, the Wing’s new home in San Francisco, Los Angeles, and Chicago has nonetheless been much anticipated by women in these cities. 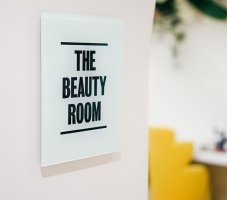 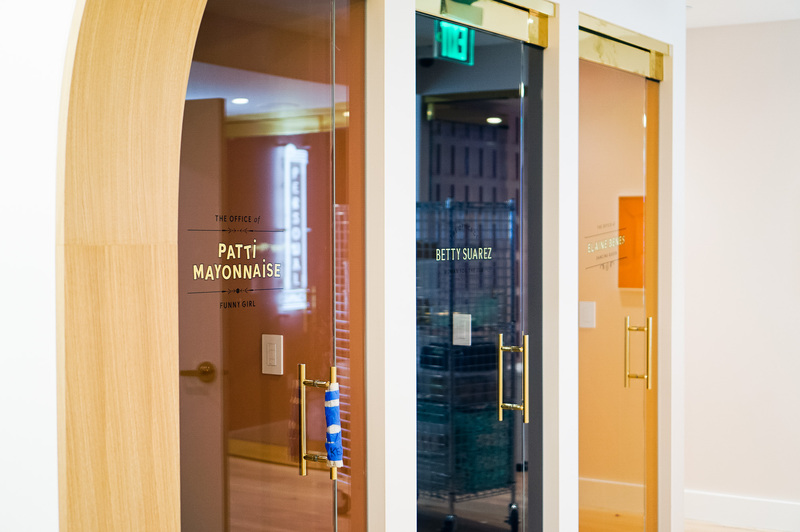 Execute signage that blends seamlessly into the interior, with a critical eye for detail. 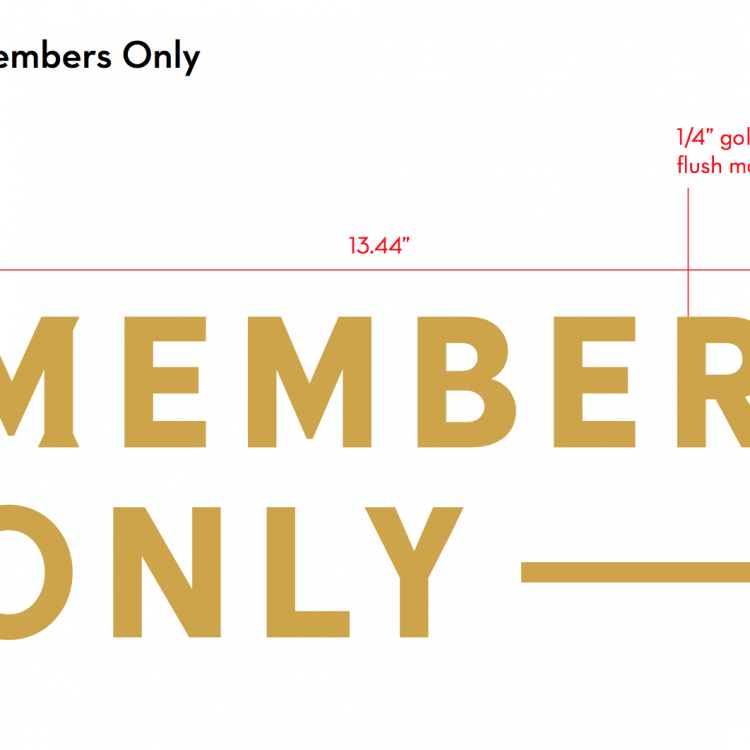 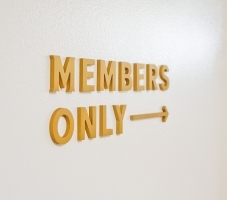 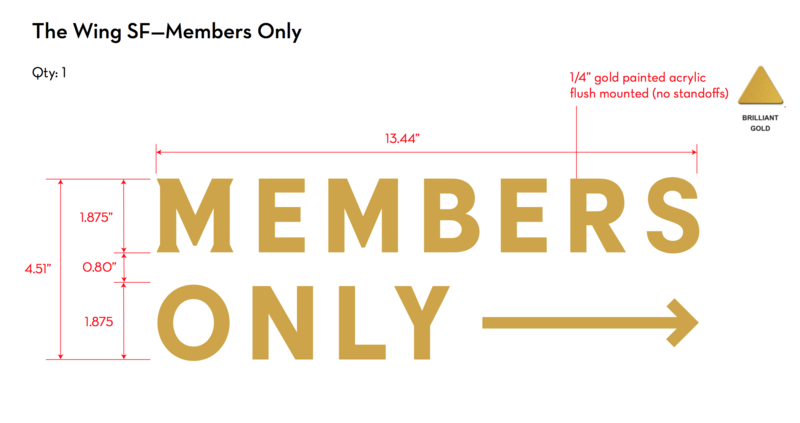 Brushed gold "members only" entrance sign at The Wing San Francisco, a co-working space for women. 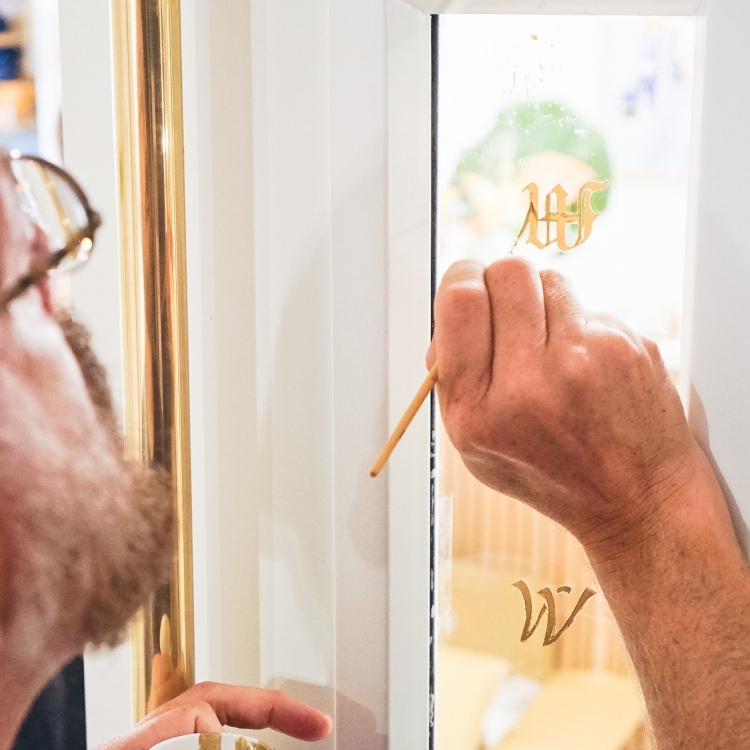 Craft one-of-a-kind signage with methods that span decades of signage history. 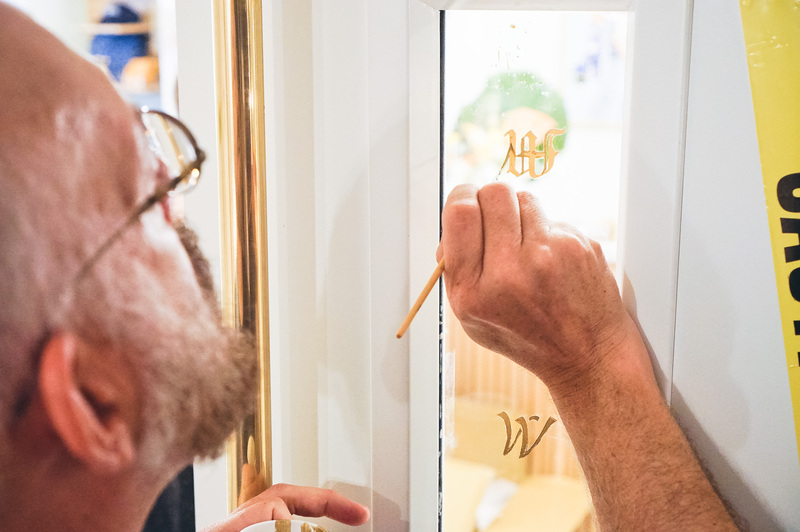 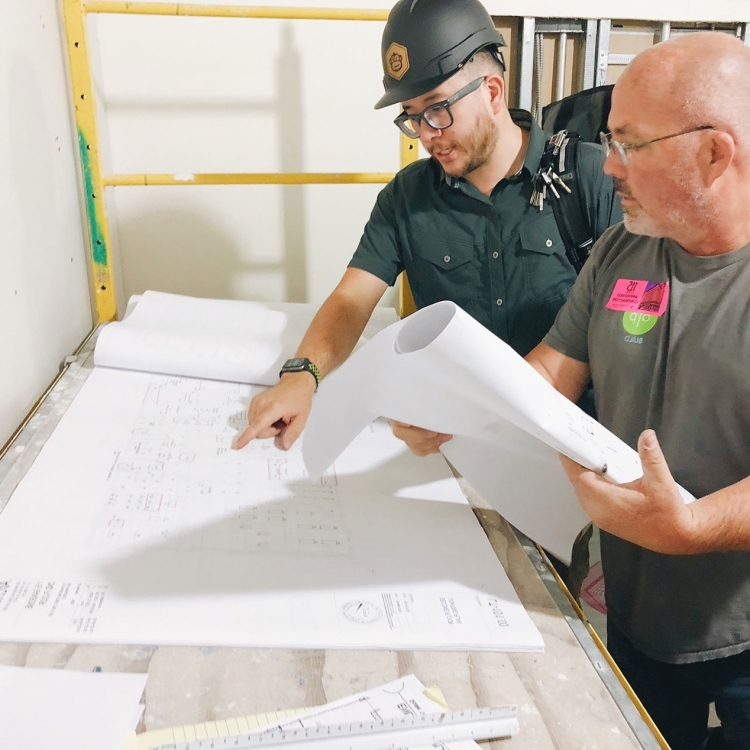 When the creative team at The Wing presented us their ambitious vision, we were inspired to dig deep into our fabrication knowledge to find ways to create signs that pay homage to their roots, yet perfectly match their interior. 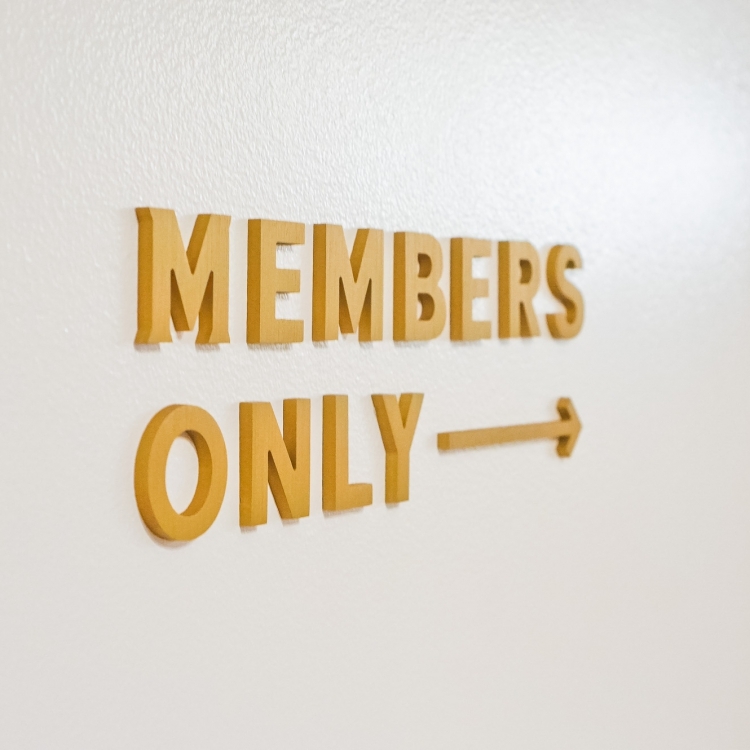 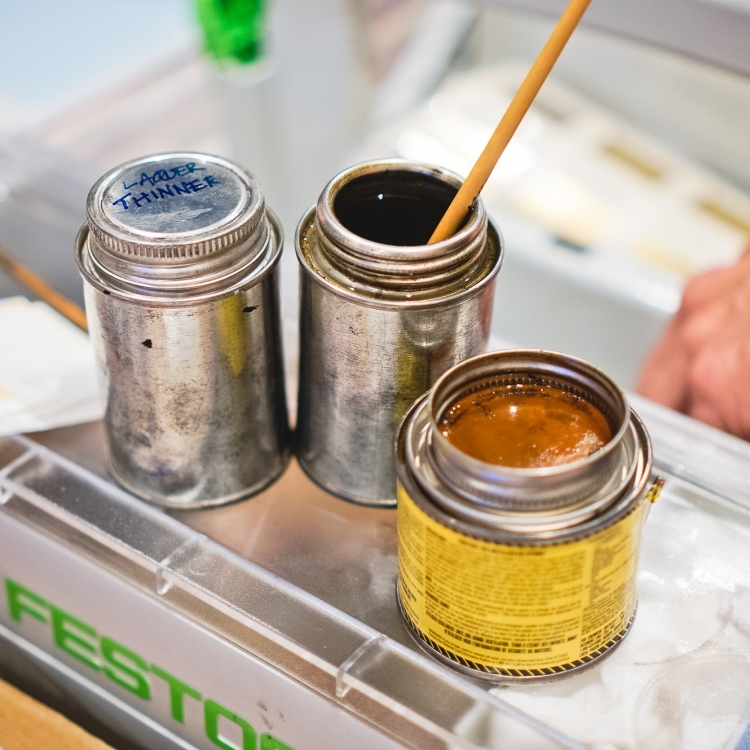 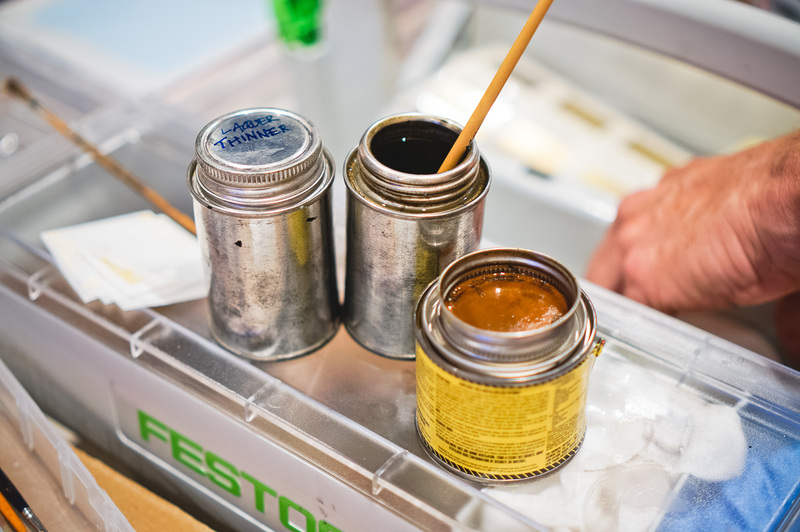 We used gold leaf gilding techniques from the origins of signmaking to the newest UV light cured printing to achieve Pantone-matched perfection. 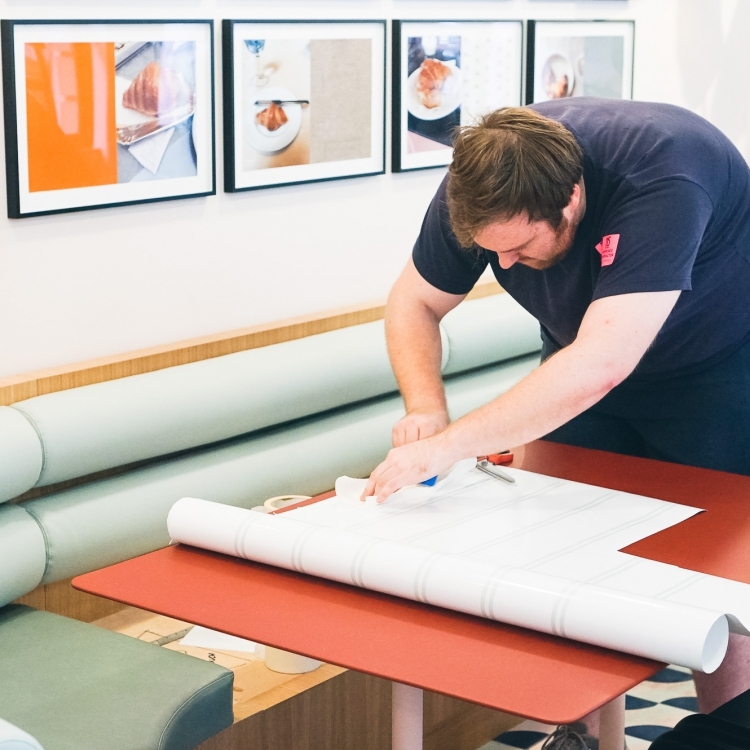 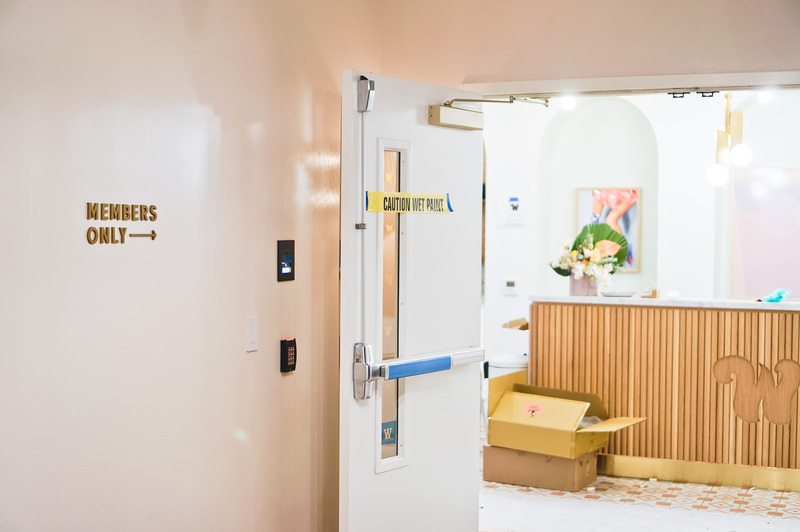 Installing the "I'll Have What She's Having" cafe / bar sign at The Wing San Francisco, a co-working space for women. 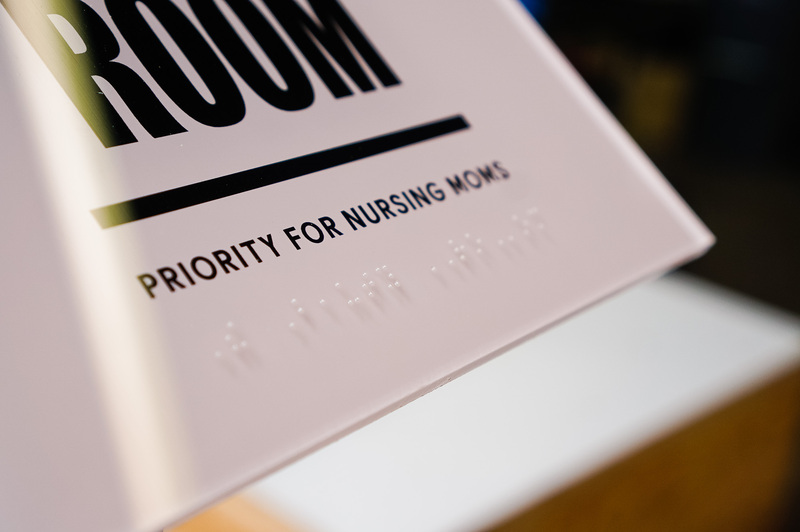 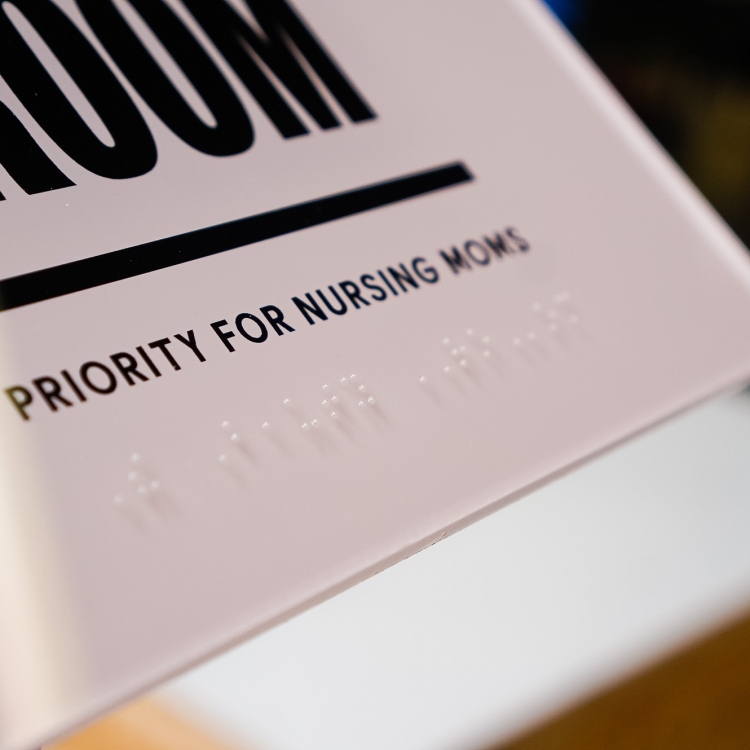 Clear braille on acrylic standoff sign for the mother's room at The Wing, a co-working space for women. 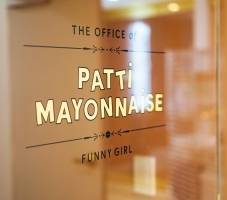 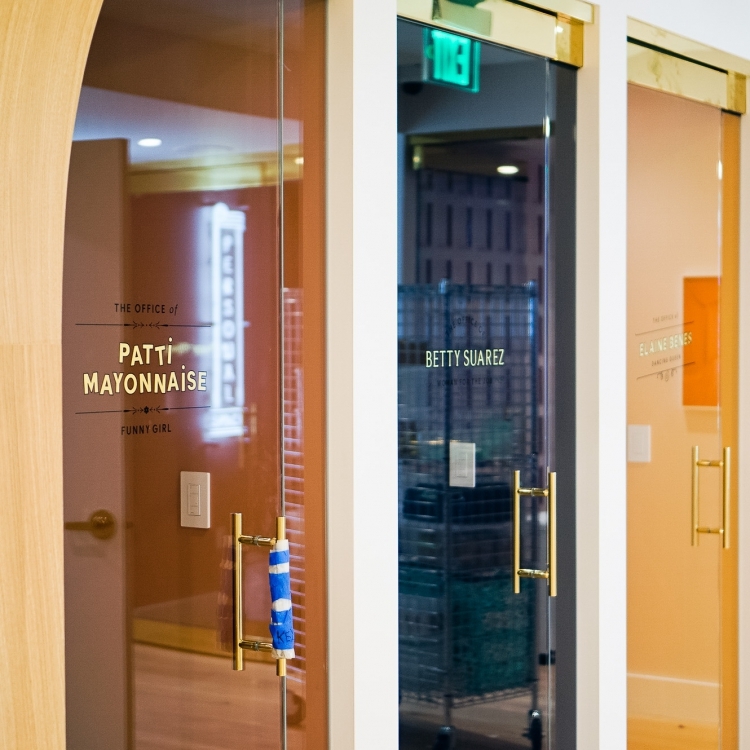 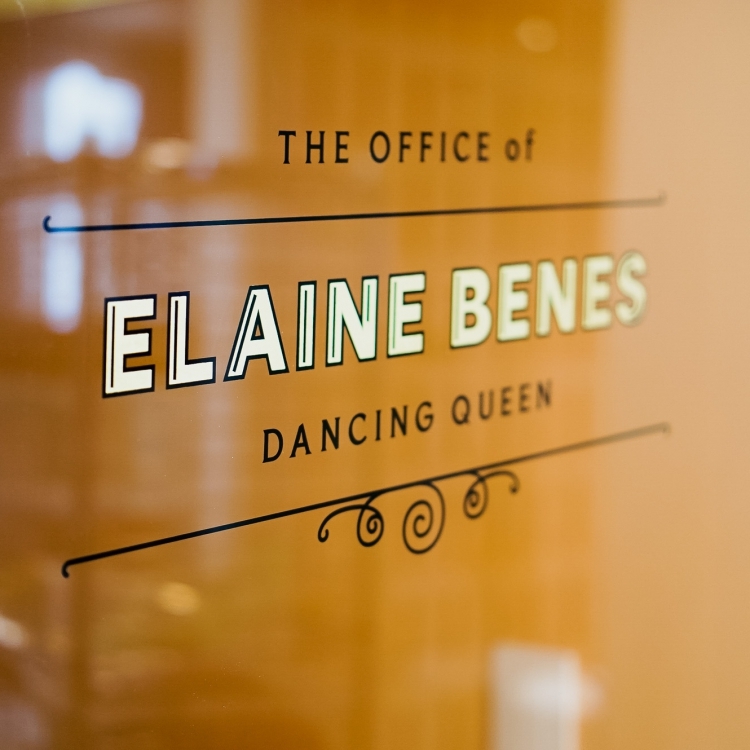 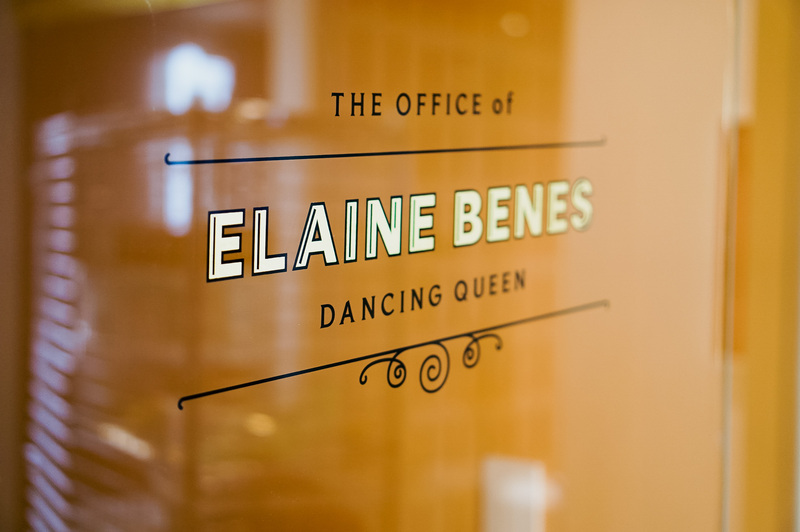 23k gold leaf signage honoring the names of iconic women, on glass doors at The Wing San Francisco, a co-working space for women. 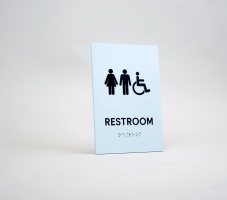 A cohesive signage system that speaks to their brand, and can expand as they grow. 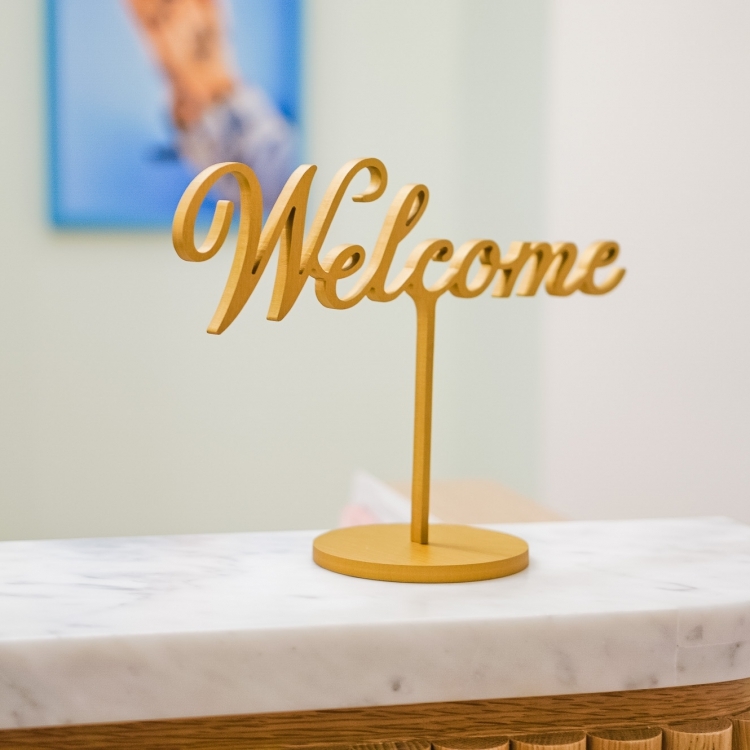 The signs we made met The Wing’s high design standards while still being easily replicated, replaced, or changed to keep up with their fast-growing brand. 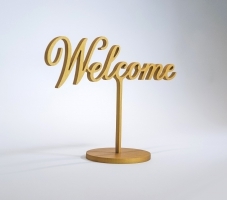 We made sure that the signs are durable enough to stand up in a community space, yet look like they are executed with a light hand. 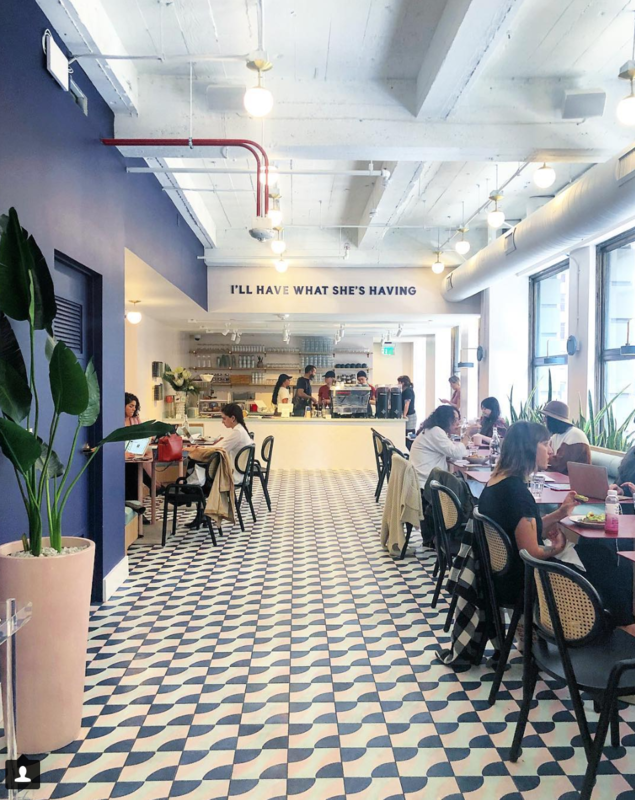 "I'll have what she's having" sign at The Wing cafe in San Francisco. 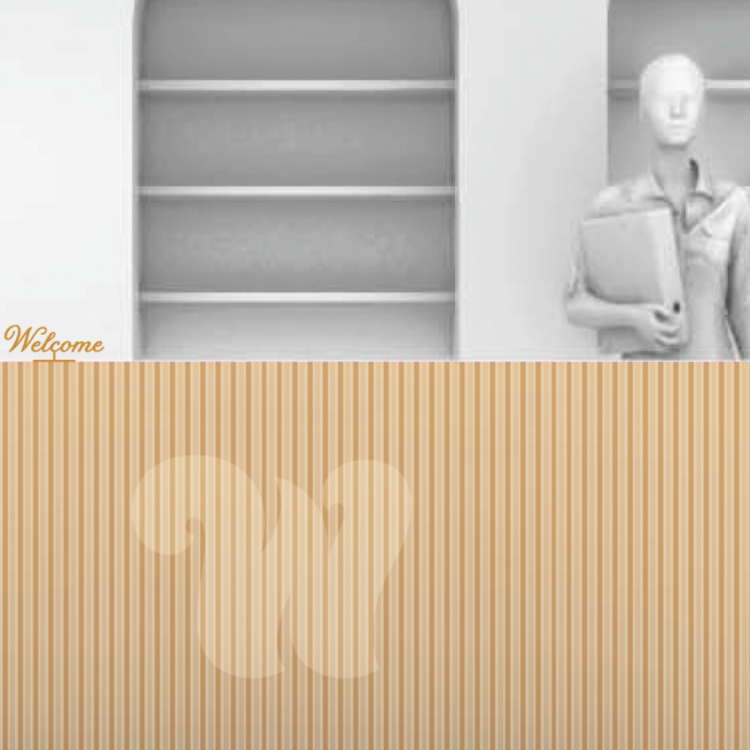 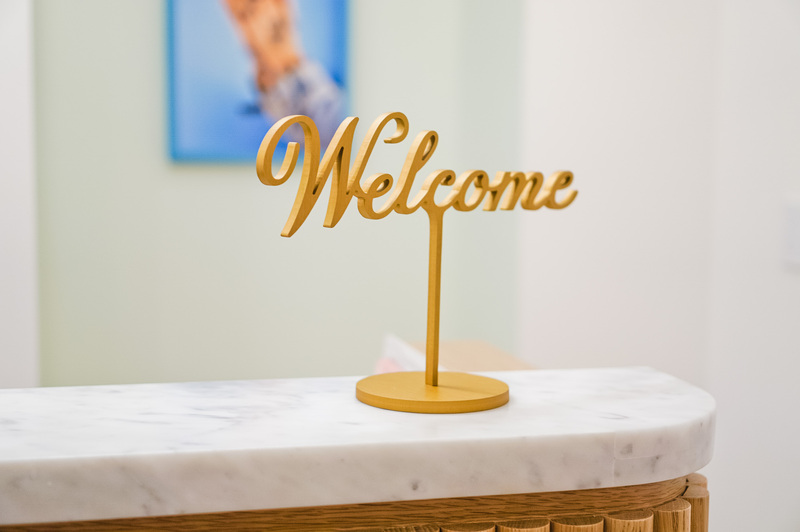 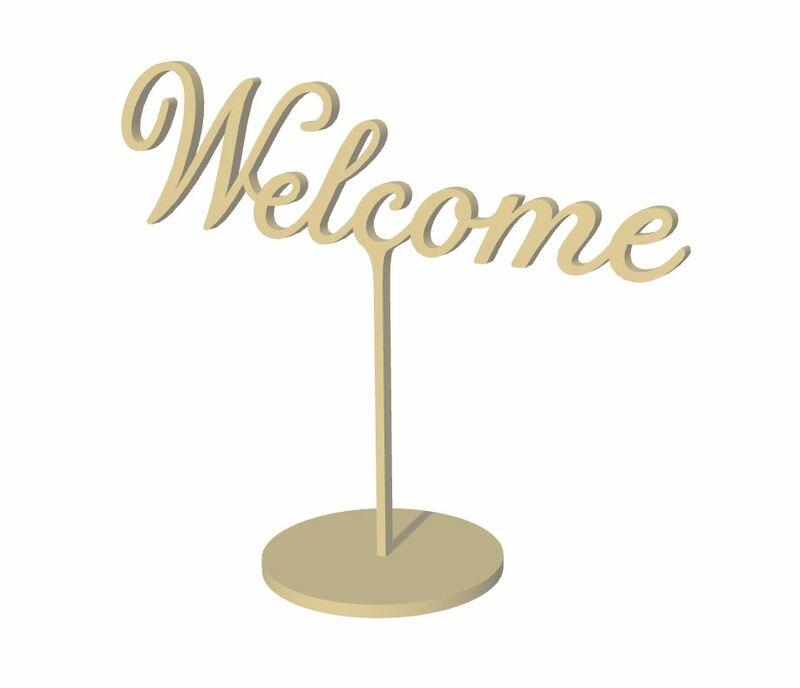 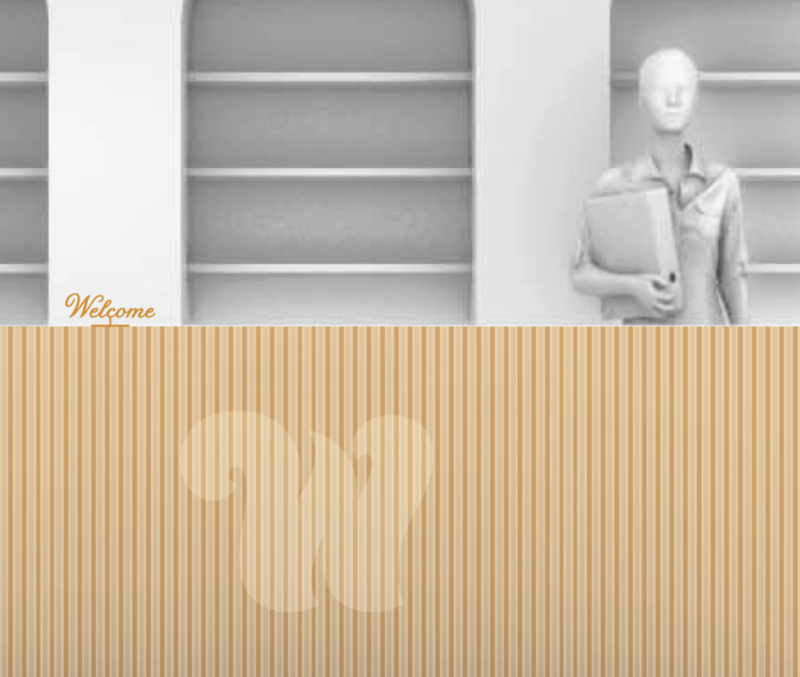 Freestanding Welcome sign at the front desk of The Wing San Francisco, a co-working space for women. 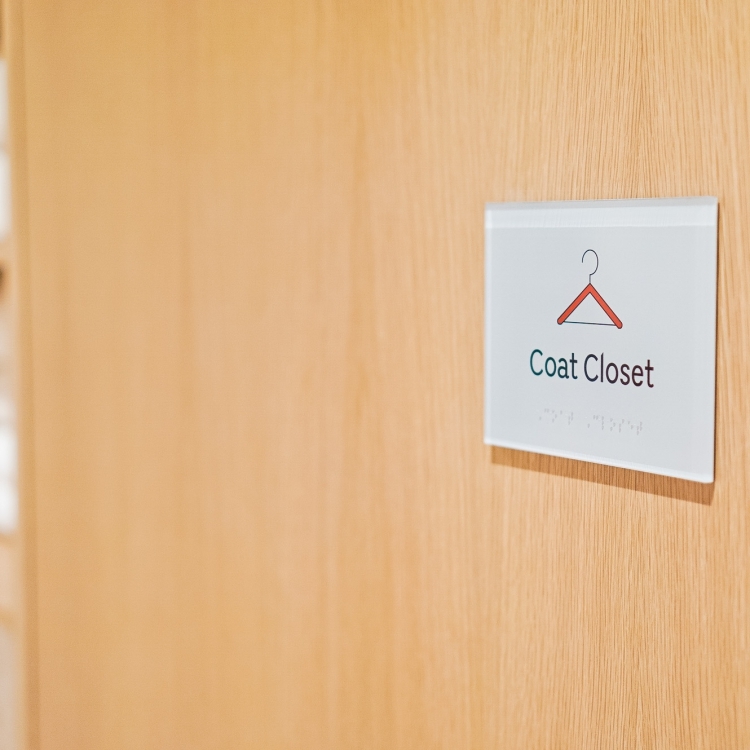 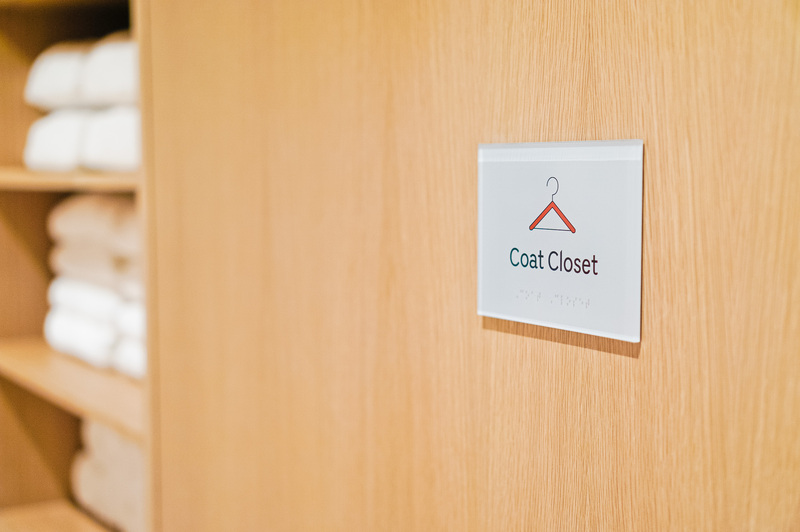 The Coat Closet Sign at The Wing San Francisco, a co-working space for women. 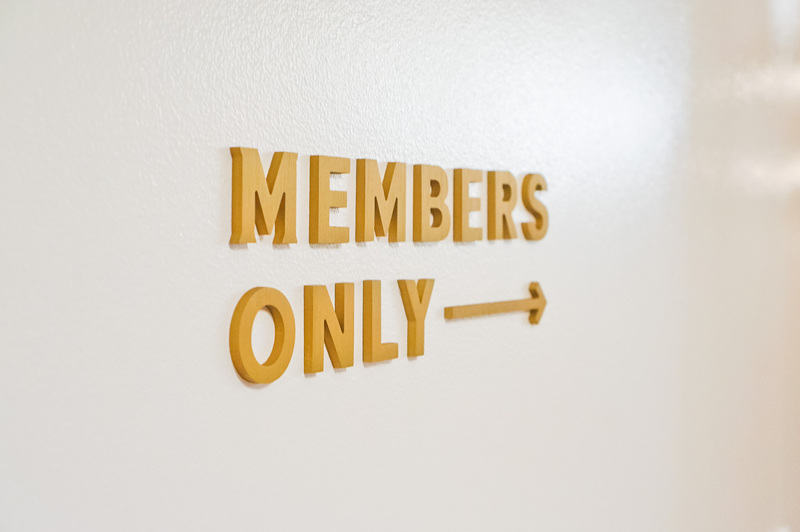 Signage that makes members feel special on every visit. 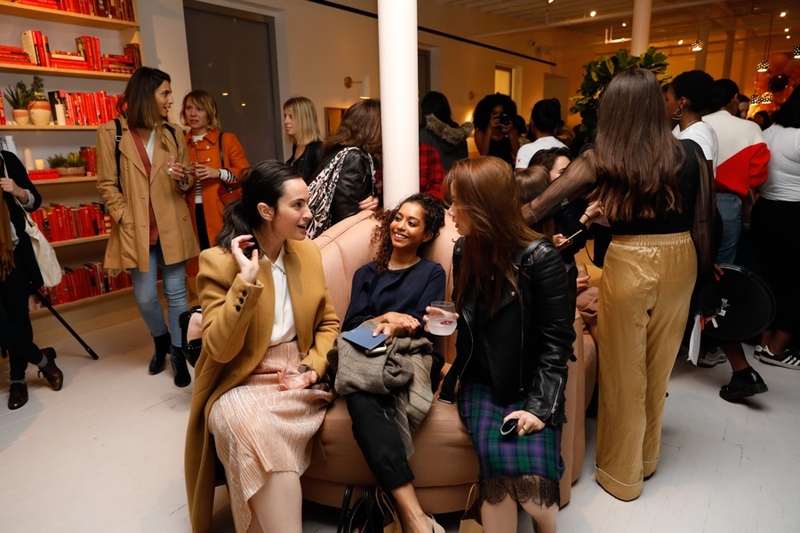 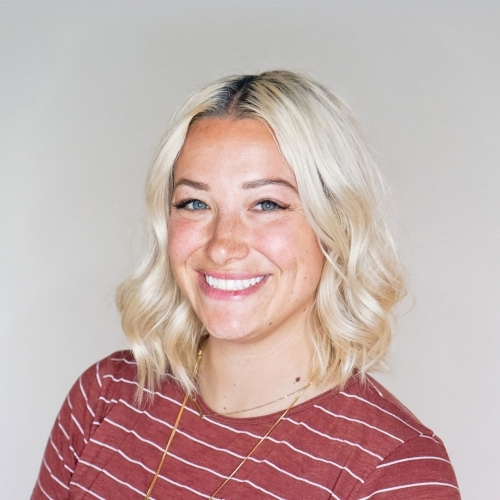 We’d like to give a shout out to the talented, all-female creative team at The Wing: Megan Muir, Michelle Shekari, Nora Cady, Nina Lilliebjerg-Heder, and Deva Pardue. 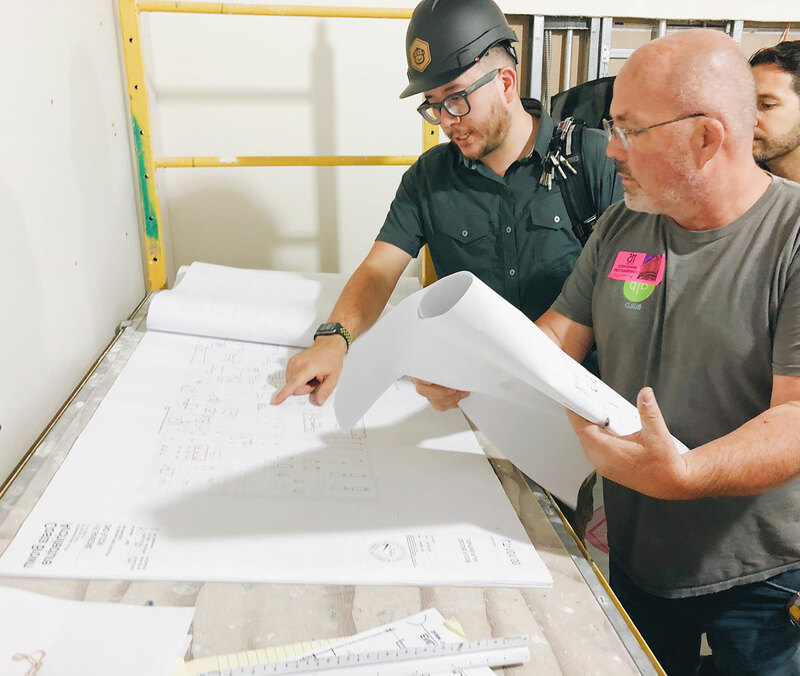 Thanks for trusting us with your very special project. 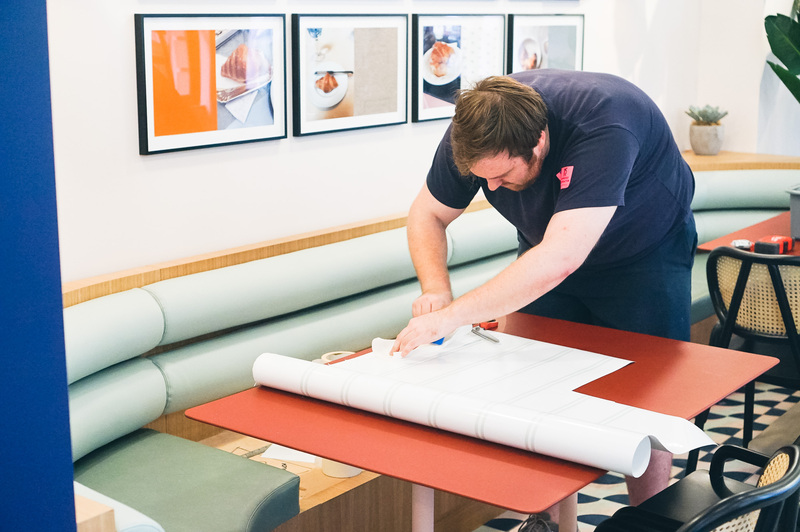 Curious about how our services can add value to your project? 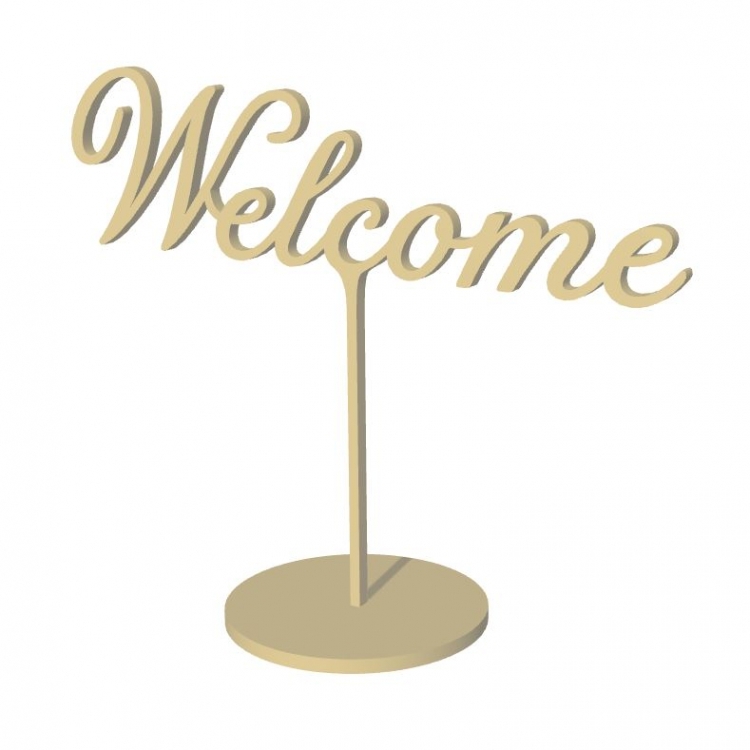 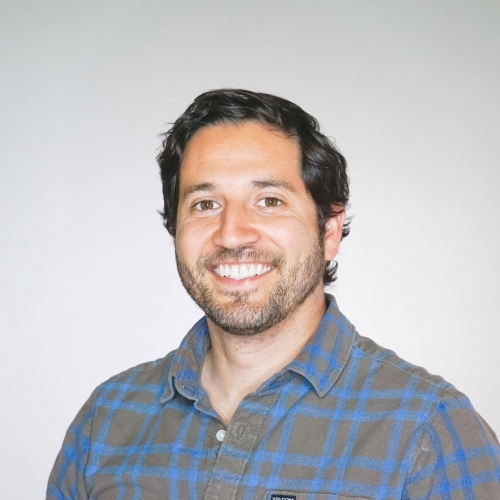 Reach out to us, and one of these three friendly folks will get in touch with you.